PricewaterhouseCoopers, Ireland's leading professional services Firm is delighted to announce the admission of eleven new Partners. 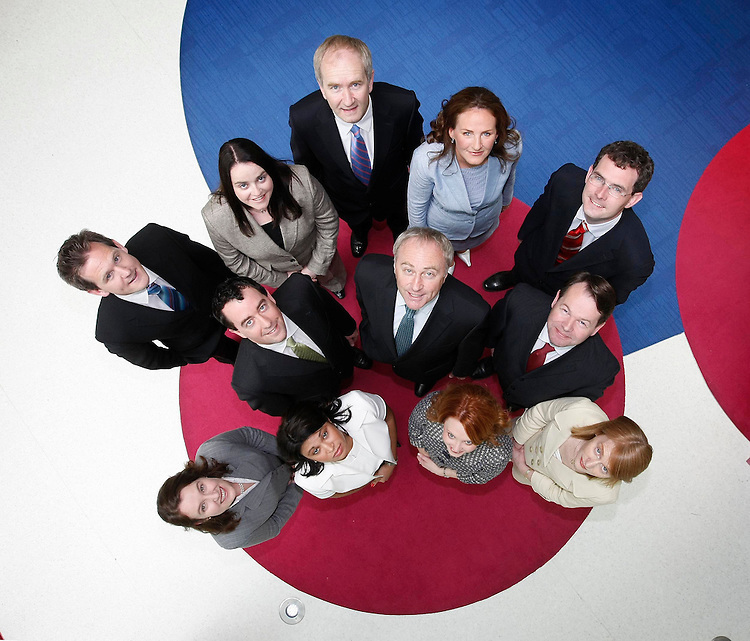 Pictured here with Ronan Murphy, PwC's Senior Partner (Front centre) are the Firm's new Partners, included are clockwise: .Alisa Hayden (Consumer & Industrial Products and Services), Patricia Johnston (Investment Management), Gavin Ryle (Transfer Pricing), Brian Bergin (Transaction Services), Emma Scott (Banking), Garrett Cronin (Corporate Performance Improvement), Dervla McCormack (Strategy), Ronan MacNioclais (Corporate Tax), Tom Corbett (VAT), Irene O'Keeffe (Technology & InfoComms), Andrea Kelly (Investment Management). Pic. Robbie Reynolds..